I was expecting to ride EKstreme but Gerald wasn’t that brave enough that day to try it. However, he was all game to try Space Shuttle, while I still don’t have the courage to do it. As you see, we mostly never agree on something. Haha. On our first visit, we were only able to spend half a day so we made sure that on this second visit together, we’ll make the most out of it. 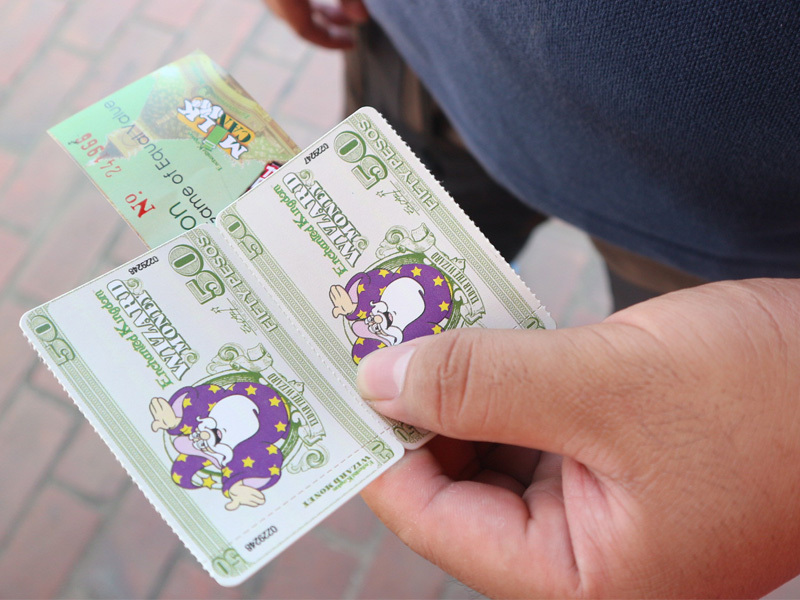 But still, we were only able to get to try three rides – Anchor’s Away, Jungle Log Jam and Rio Grande – because we spent more time walking around and spending our wizard money on the skill games. Haha. It was my second time to ride Anchor’s Away, and it’s scarier this time because Gerald forced me to sit on the third to the last row, unlike during our first time when we’re seated on the middle part of the boat. Haha. I told myself “Once is enough” but I guess Anchor’s Away is the only “extreme ride” I can handle. Haha. Gerald wanted to try Disk ‘O Magic again, but I strongly refused. My experience with that was beyond scary. Haha. I thought I’m already brave because I was able to jump from a 65-ft high waterfall, but oh my, the Jungle Log Jam is still scary! I was more afraid because there’s no seatbelt or anything, and you only have two bars beside to hold into! It was my first time on the Jungle Log Jam, I know I know. I can’t ride that when I was still a kid. And I wasn’t able to ride that before because Gerald and I didn’t bring extra clothes. 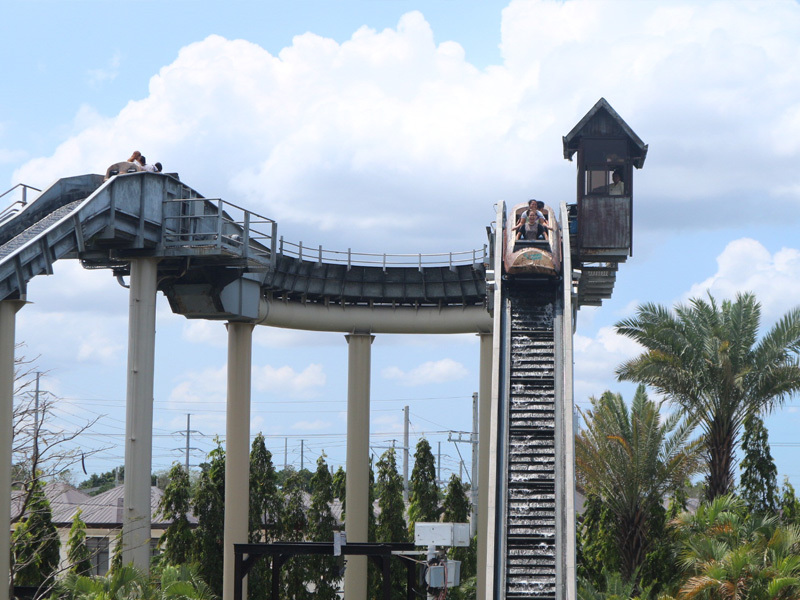 But this time, we tried it (along with Rio Grande Rapids), because well, we’re a little prepared! Haha. Only a little prepared, because we just brought extra shirts. 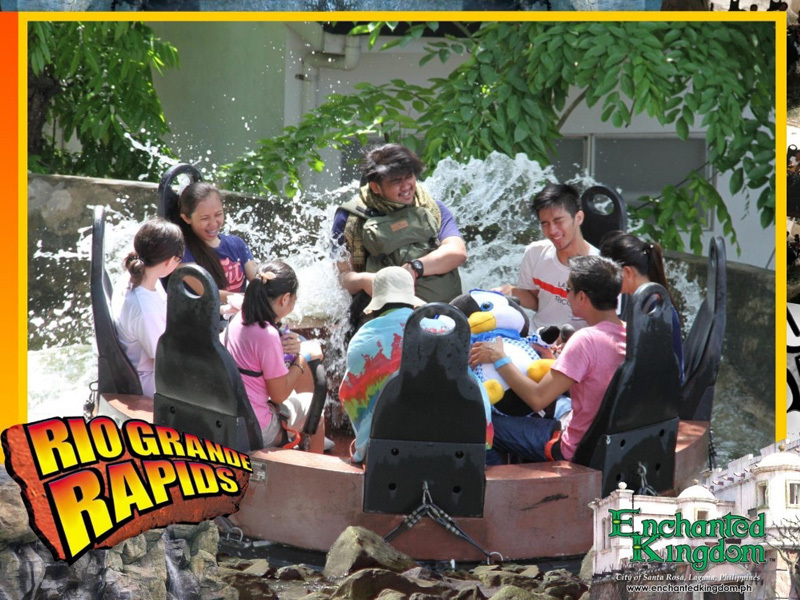 When we got into Rio Grande Rapids, we were soaking wet! The Magic Drier didn’t even dry us up. Advantage of the freaking summer heat? We removed our shoes and dried them up under the sun in just a few minutes. Our shorts were also dry in just a few walks around the park. Haha. 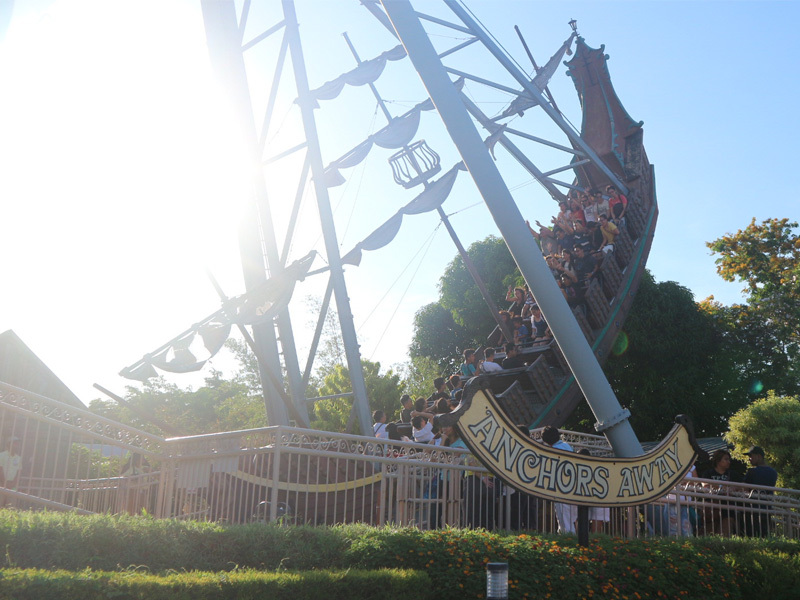 Have you been to Enchanted Kingdom? What’s your favorite part of it? But…but…the extreme rides (Space Shuttle and EKstreme, I miss!) are the best part!!!!!!!! Even at this age, I still enjoy going to Enchanted Kingdom and this post makes me want to go there again. Actually not this post pala, your photos in FB and instagram din pala coz mas nauna ko un nakita. haha! I can ride Anchor’s away even when I’m seated on the last row. That’s one of my favorite rides there. It makes me feel brave but no, coz it’s very difficult for me to ride Jungle Log Jam. So, super agree ako sayo, it’s really scaryyyyy! EKstreme is scary as well! If it’s not for “pride” I wouldn’t ride that, never! Sometimes, it’s really fun to just enjoy the moment and stop taking so many photos. Aw!! Namiss ko naman yung Enchanted Kingdom! I remember going here a couple of years back and we won a turtle! Hehe gusto ko bumalik! The last part of the video was beautiful! I wish there were park like that here in our city. But we did have one thats similar to anchor’s away. I remember it was really scary. Especially the part when the boat goes down :D By the way sis where is this located? Is this in Manila? Anywas looks like you guys had a wonderful time together. I hope I get to visit this place too. EK!!!! 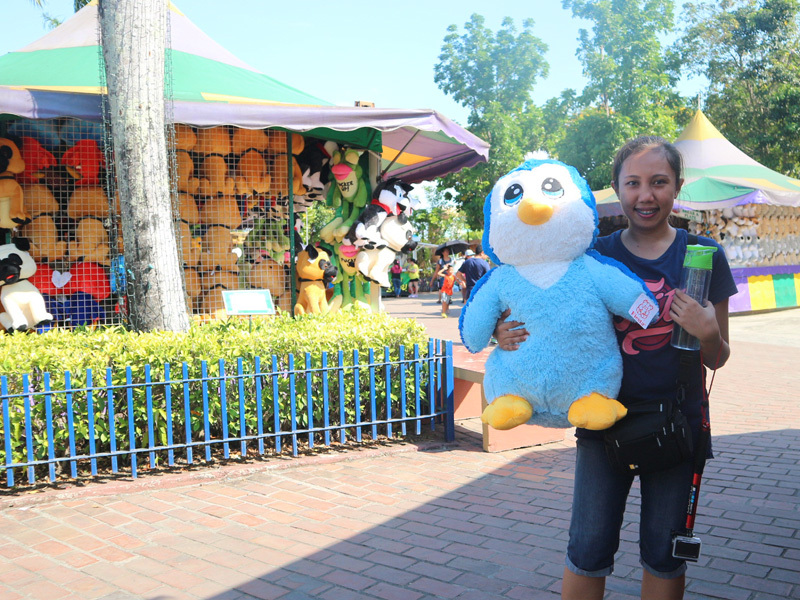 I suddenly miss going to EK! The last time I visited was during our field trip when Inwas in highschool and that was more than a decade already. Yeah, I think I saw your EK snaps. It’s so funny how you guys contradict each other. What’s EKstreme? Bago yun for sure. Hahaha. I’ve been to EK a lot of times when I was young. I love rides! Extreme rides? I think so…. I love Space Shuttle! Basta roller coasters enjoy ako. Hahaha I also like Anchor’s Away and Flying Fiesta! Yes, EKstreme seems a new ride. Free-fall something sya haha it’s the photo on the bottom let of the photo gallery I posted above. I have a lot of good memories of EK. It was the first theme park my bf (now my husband) and I visited. I remember how I screamed my heart out while riding the space shuttle but that was the best part though. Hahaha. EK rides aren’t as scary as the rides in Dream World Australia. Wherein my husband literally brought me to the clinic because I can no longer stand after we rode The Claw. I was so sick and disoriented. Yes! You finally got to pay a visit to EK! Haha. Namiss ko din bigla ulit yung pagpunta namin dyan. And wow, I envy you. You got a stuffy toy. We only end up winning the cute little caterpillar and named it “Wormie” slash Bibi EK. HAHAHA. Ganda, also the video. Nakakamiss.